Uploading it on rapidshare since the attachment isn't working. Located in EPL, start at Lights Hope Chapel, the mobs has a chance to drop Oozing bag, which can contain a non-combat pet. 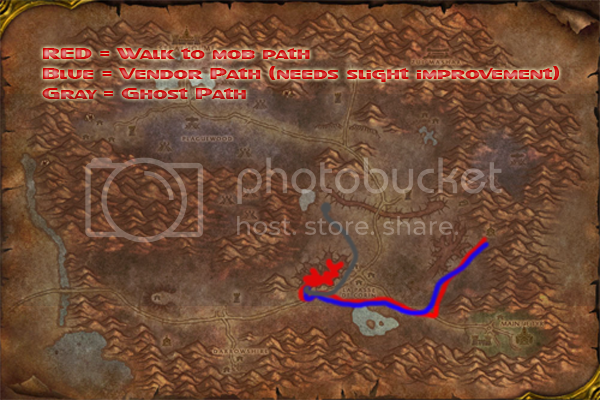 Really good place for casters, killed 706 mobs and died 0 times on my warlock, fast respawn too. 27k xp/hour. started at lvl56, ended up being lvl58 when i stopped the bot. I suggest adding "Broken Weapon", "Bubbling Green Ichor" and "Lifeless Skull" to your auto delete list, since the vendor path isn't 100% working, try talking to some vendors before starting the profile. This is an openbot map and will possibly not work on other bot's. 4. Place the file (not image) in this folder and restart innerspace. Public maps are dangerous and give you a higher chance to get caught. Last edited by Evieh; 03-20-2008 at 01:20 AM. Could you upload it to Megaload or some sh*t like that? :lolwut sorry But w00t new Smiley! I think that mediafire is the best for sharing files. Anyway thank you for the map. +Rep.